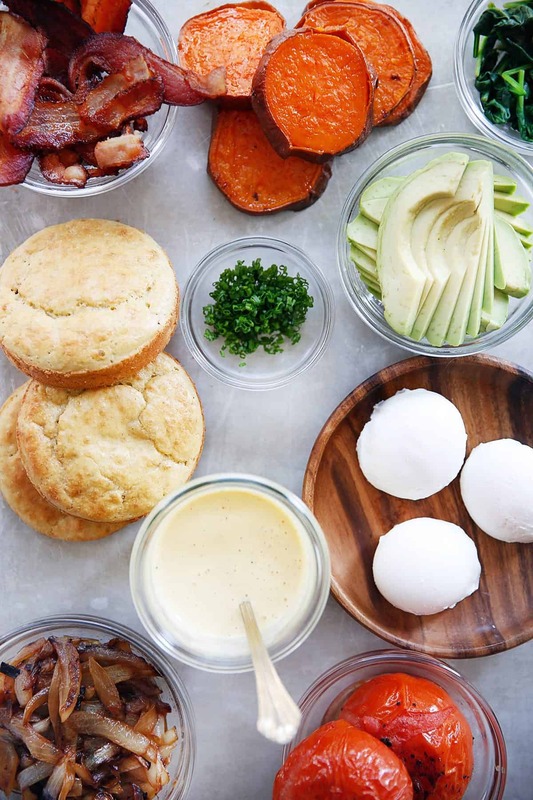 This Gluten-Free Eggs Benedict Breakfast Bar makes for a great weekend brunch with family or friends! Loaded with veggies, bacon, caramelized onions, my favorite paleo bread (or sweet potato buns), and perfectly poached Pasture-Raised EGGS. 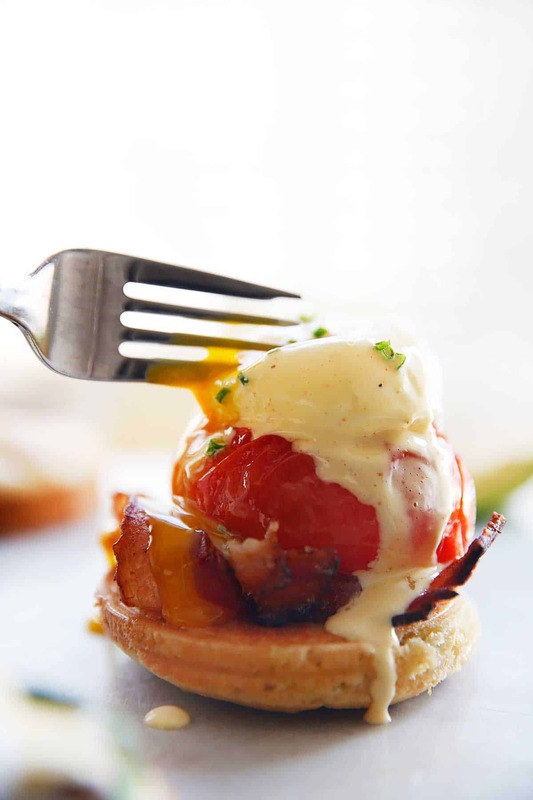 It is such a fun spin on a brunch classic! I am so excited to partner with my friends at Vital Farms to bring you today’s recipe! For me, Vital Farms is the golden standard of eggs from the supermarket. They are my go-to eggs that I purchase, and you will instantly see why when you see the color and taste the difference for yourself! They are SO GOOD. Vital Farms is the largest (and first) Certified Humane Pasture-Raised egg company in the United States, based in Austin, TX. I now cannot wait to head back to Austin and go for a visit. ATX is my happy place! Their hens live the way birds are meant to live, under open skies and grazing on organically maintained green pastures, all day, every day, while getting adequate exercise. This results in delicious, nutritionally rich eggs with thick, bright, and flavorful yolks – truly a superior quality product than most I’ve tried on the market. 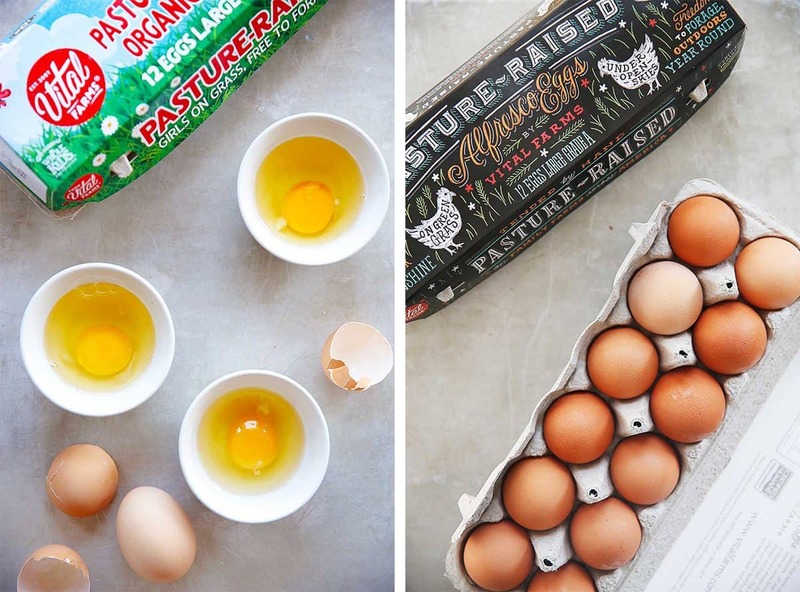 You might see eggs in your local stores saying they are free range, organic, soy-free, or free of hormones and/or antibiotics, but these labels don’t necessarily mean they are what you think they are. The first thing I always look for is if they are pasture raised. Why? WELL, Vital Farms gives all of their hens a whole lot of pesticide-free, herbicide-free pasture to roam and forage.With all this space, their hens have space to stretch, flap their wings, and forage fresh grasses, plants, bugs/critters, and seeds in the pasture. They have GOOD LIVES. 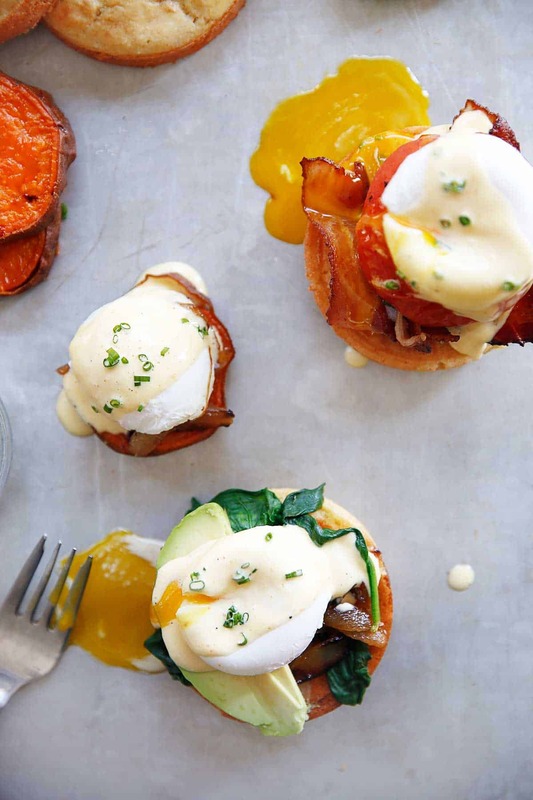 Let’s talk about this eggs benny bar, because really, what is more fun than this? It’s loaded with veggie options. 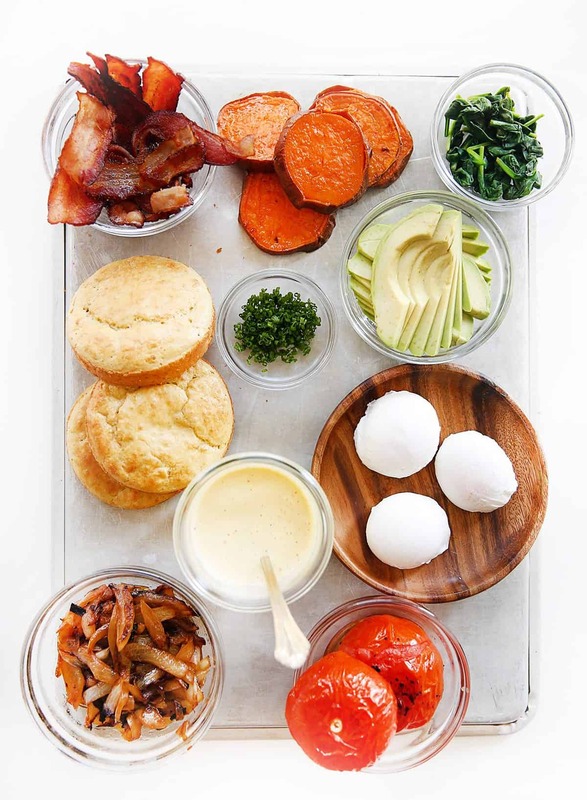 Customizable with paleo bread or sweet potato buns. And you can whip up the homemade Hollandaise Sauce in no time. Make Sandwich bread as directed in the post. Make sweet potato buns as directed in the post. Make the Caramelized Onions: In a skillet over low heat add 1 tablespoon oil or butter and onions and cook until soft, brown, and nicely caramelized, stirring often. If starting to burn, add a tablespoon of water. Cook for about 8-10 minutes or until onions are caramelized. Poach the eggs: Bring 2 cups of water to a simmer in a medium-sized pot. Add in 1 tablespoon white vinegar. Crack egg into a small ramekin. Using a spoon, stir the water in a circular motion until you reach a whirlpool effect. Slide the egg into the center of the whirlpool. Gently cook the egg for 3-6 minutes depending on how runny you like it. Use a slotted spoon to remove the egg from the water and plate it on a plate. Repeat with additional eggs. These directions can also be found on page 66 of the Lexi's Clean Kitchen Cookbook! Roasted Tomatoes: Set the oven to broil, and broil the tomatoes whole until they start to blister. Remove from oven and set aside. In a small skillet, sauté spinach just until it starts to wilt. Take off heat and set aside. Slice avocado and chives and set aside. 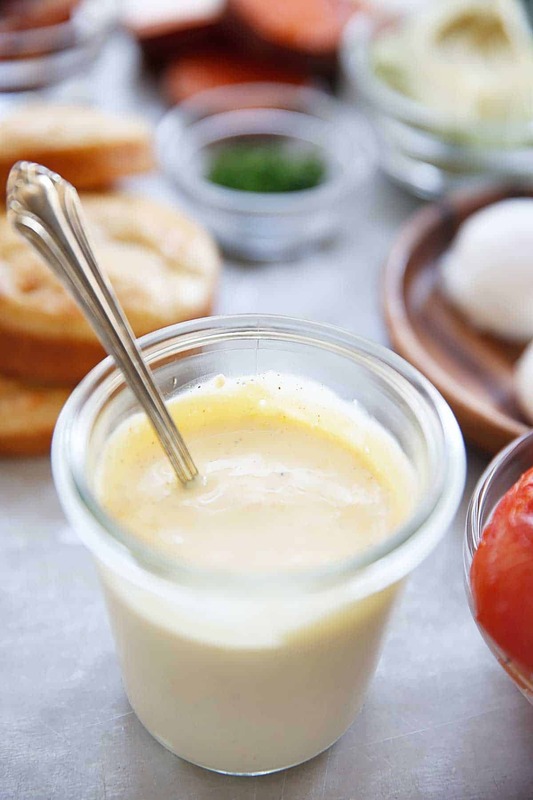 Make the hollandaise sauce: In a double boiler, melt butter. While butter is melting, place egg yolks, lemon juice, and spices in a blender and cover. On low speed, slowly pour the melted butter into the blender in a steady stream until the butter and egg yolk are well blended. If the sauce is thick slowly add in water, until you have reached a slightly thick and runny consistency. Taste and adjust spices as needed. Serve warm in serving dish of choice! 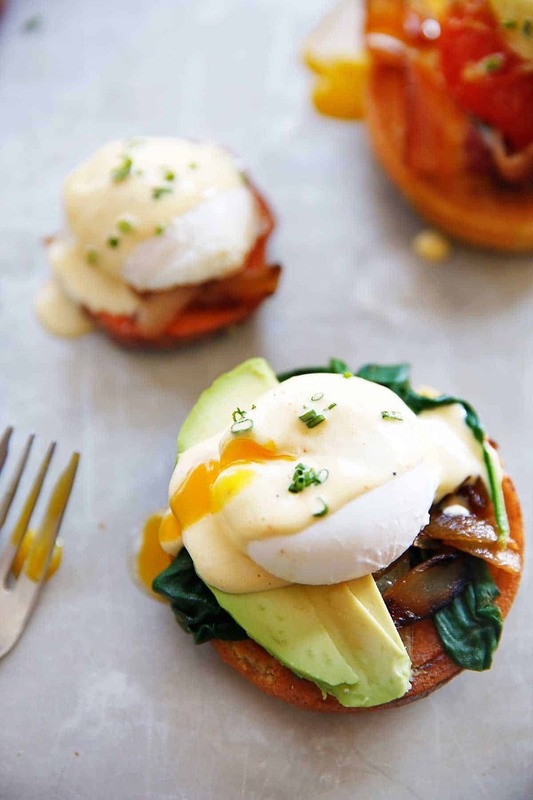 Build the Eggs Benedict of your choosing and devour! This post was sponsored by Vital Farms. All opinions are 100% always my own. I love just classic scrambled eggs or using them in banana bread! Lately, I have been digging making hash with a fried egg on top. SO GOOD. I love to make quiche with eggs, all different kinds. I love to make big skillet meals with meat, veggies, greens, salsa, avocado, and green onions with eggs on top!